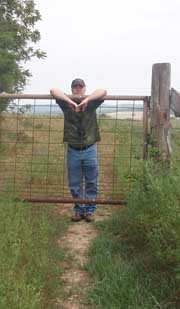 Visited the Weems Cemetery in the Missouri community of Wanda in Newton County. The cemetery was full of distant cousins of mine. 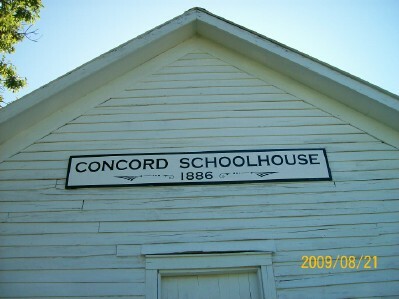 The Concord School House was a center of community life in the Keels Creek valley. Circuit preachers of various denominations came through and held church services, citizens attended political rallies there and then came back on another day and voted in the same building, concerts were held, meetings on new agriculture techniques, and various fund raisers, like pie suppers, were common. 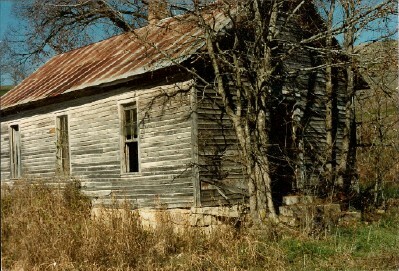 In 1948, the Concord School House was forced to close by legislation out of distant Little Rock and the building sold to the highest bidder. 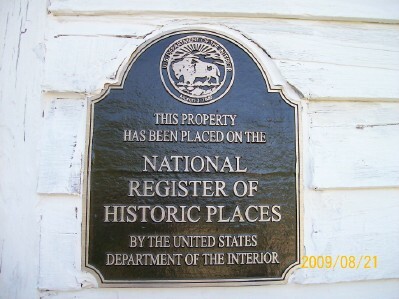 I’ve been told that it then stood empty (except for the hay stored there) for the next 54 years. In early 2002, Eureka Springs Fire Chief David Stoppel announced that Dan and Monica Ryan, who had come to own the old Concord School House, were going to donate the land there for the construction of a much needed rural fire association substation. The Ryans did hope, however, that the historic building could be saved by relocation and encouraged those interested to contact them. Shortly thereafter I did have a long, enjoyable conversation about Concord with Dan Ryan, emails to and from David Stoppel, and met with some house movers. 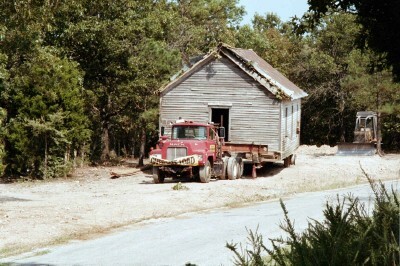 Luckily, there were others interested in saving the school house – I certainly didn’t have the resources to do it. Ultimately, the Masters family moved the Concord School House to its current location and did a wonderful job renovating it. 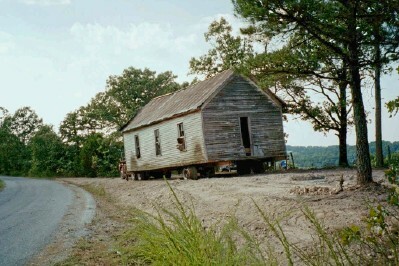 Now the Concord School House stands on a high spot on a ridge overlooking the beautiful “Hull Valley” just outside of Eureka Springs, Arkansas, on County Road 309 (or Rocky Top Road.) If you haven’t seen it, it’s certainly worth the drive. 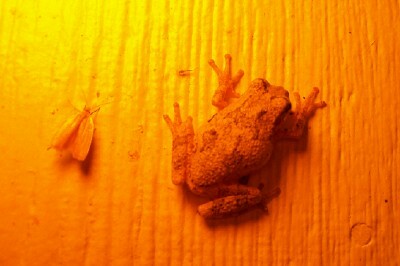 Tree frogs have discovered that under our yellow porch light there is a virtual buffet available. 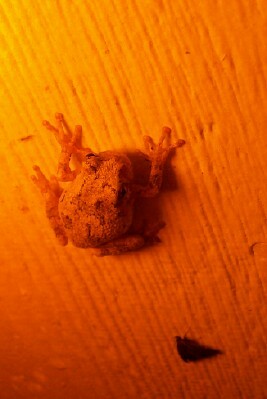 In the past 11 years, we’d occasionally see a tree frog on the porch, but we are now seeing up to eight at a time. I guess word is getting around. Another valuable predator found in large quantities in the hollow is the fascinating creature we call the dragonfly. We appear to have a variety of species here, all congregating up and down the creek. At dusk, especially, they are out hunting. This particular specimen must have heard some frogs talking. 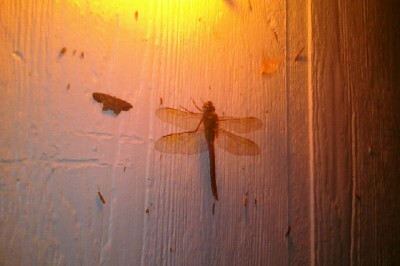 I’d never seen one under the porch light before. Charlie Garner opened Garner’s Drive In of Berryville, Arkansas in 1972. 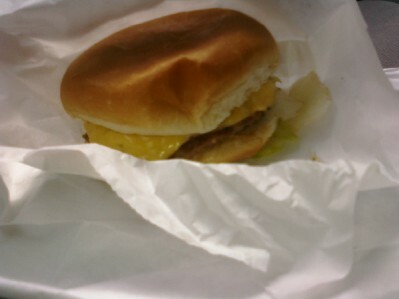 Mr. Garner, a good friend of my Grandpa Jack McCall, recently passed away, but Garner’s Drive In is still going strong. Great cheeseburgers.